Zain Group, the leading mobile telecom innovator in eight markets across the Middle East and Africa, announced that it has been awarded the ‘Best Brand for Telecom’ accolade for 2018 at the prestigious Telecoms World Middle East Awards gala event held in Dubai earlier this week. This marks a record fifth consecutive year that Zain has won this award. The honor was bestowed on Zain Group by a panel of expert judges assembled by Terrapinn, the organizers of the annual Telecoms World Middle East Conference and Awards. 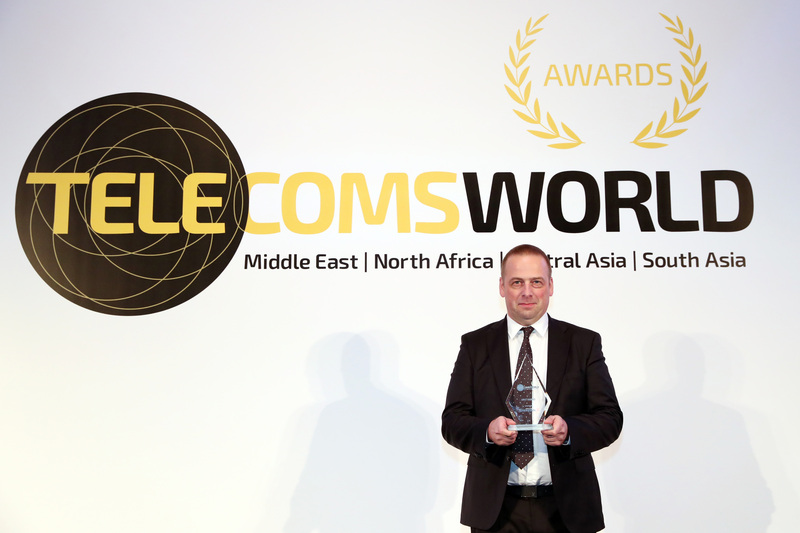 The awards recognize outstanding performance in key telecom-related areas throughout the Middle East and shine a spotlight on leading players who have contributed to making the sector one of the most dynamic globally. Zain’s brand was refreshed after a decade – in November 2017 – to reflect the dynamism of its digital lifestyle strategy. The logo now appears in a fetching silver-metallic shade, while retaining the radiant swirl. Preserving its essence, the enhanced logo encapsulates both Zain’s heritage and its future. The silver-metallic coloring symbolizes innovation and high-tech, as Zain works to shine in this multi-screen digital age. Zain has focused on enhancing and upgrading its entire network to offer the best technology and digital services across its countries of operation, ensuring mobile experience for customers is second to none. Over the past 12 months, Zain has invested approximately US$1 billion in expanding, upgrading and rolling out 3G and 4G LTE networks across its footprint. Earlier this year Zain again showed its support of the digital innovation startup ecosystem in the region as a main sponsor of the 2018 MIT Enterprise Forum Pan Arab competition. This event champions the generation of new ideas that saw the 2018 competition receive an outstanding 6,000 individual and team applications from 21 Arab countries.